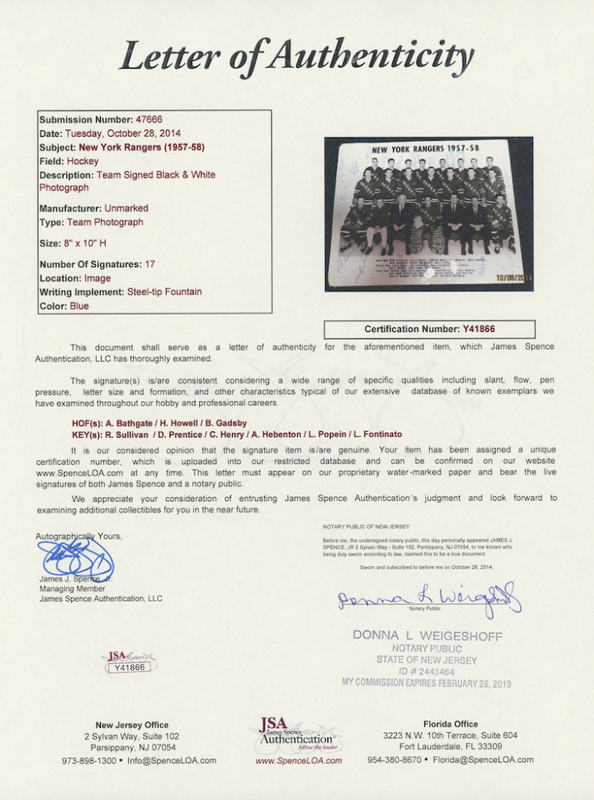 Photo measures 8" x 10" in size. 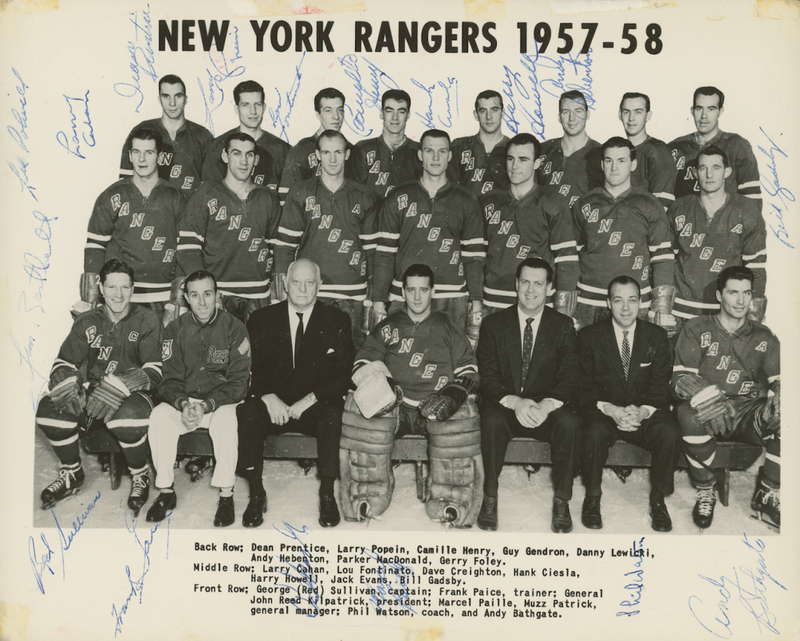 Hand-signed in blue ink pen by (17) members of the 1957-1958 New York Rangers including Andy Bathgate (D. 2016, HOF), Harry Howell (D. 2019, HOF), Bill Gadsby (D. 2016, HOF), Red Sullivan, Dean Prentice, Camille Henry (D. 1997), Andy Hebenton, Larry Popein, Lou Fontinato (D. 2016) and (8) others. 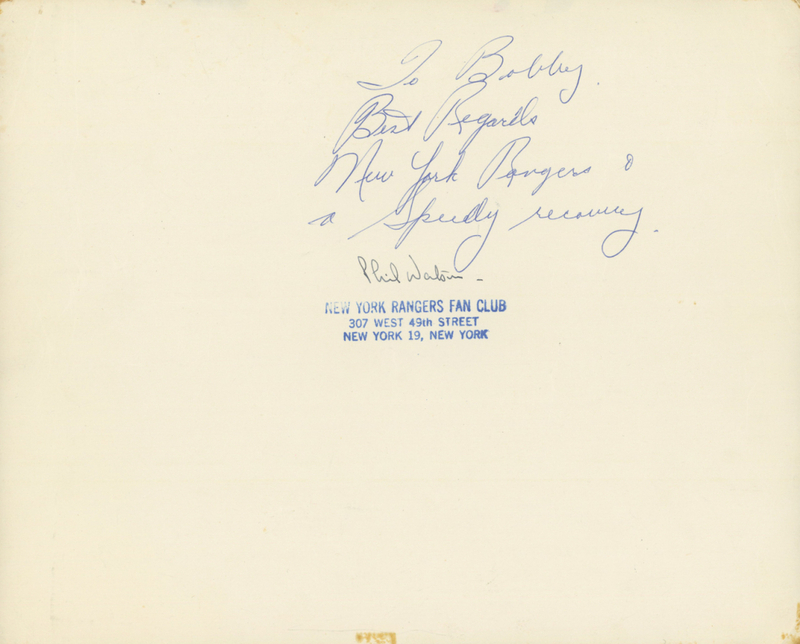 Please note, the back of the photo has been written and personalized "To Bobby" by N.Y. Rangers 1957-58 coach Phil Watson and the photo shows signs of wear. 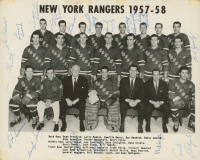 The N.Y. Rangers were a team that was part of NHL's "Original 6" era.